Ah Paris …A city filled to the brim with ideas, architecture, art and a certain flair for everything from food, to fashion to simply knowing how to live life well. It is a city that inspires and attracts all sorts of people in the world, from Hemingway to the Impressionists and I believe it might well be the city that has the most songs written about it. For many Paris is synonymous with luxury, good taste and of course Love. We arrived in Paris for a short two day trip after 3 weeks in Florence and Tuscany . It was funny to think of it this way, but in comparison Paris was a modern place. Its hay day came far later than the medieval ages of Siena or the Renaissance of Florence; the architecture is higher, bolder and less religious in nature. We settled quickly into our lovely blue toiled room at Hotel de la Bretonnerie in the area of Paris called “le marais”; the hotel is obviously dog friendly and the staff warm and helpful. Not something you always encounter in Paris . The area is superbly located if the idea is to be close to all the things you want to see. It is a 5 minute walk from two of the “big one’s” of the Paris skyline; both the Hotel de Ville and the all time famous Cathedral Notre Dame. This was important because if all you have are two days in this massive city, you have to prioritise what you will see and how you will see it. Mom had been to Paris before, in fact this was her 7th or so visit. This came in handy since she basically acted as our tour guide for the duration of our stay. On our first morning, we of course had to stop at a bakery for some real French croissants and a coffee for breakfast. I love French pastries and breads and I was not disappointed. In fact the food in Paris never once let us down. With only two days a quick decision had to be made. What to see and how much of it? We decided to stick to the exteriors and for this time around, we wouldn’t go inside. It was a difficult decision, Mom so wanted Dad to go inside the Louvre and see the art, but with only two days some sacrifices had to be made. So this two day stop was looked at very much the same way as the Rome day trip. This was a way to wet the appetite for hopefully another trip. One of the best ways to see all the big monuments that are must sees is actually not the “hop on hop off” buses. These often get caught in terrible traffic jams and are more expensive than they should be. Mom is claustrophobic, so although the metro is amazing, and is very much small dog friendly it isn’t the best choice for our family. With the sun shining, the bipeds didn’t really want to spend much time underground anyway. What is an amazing deal is the Batobus. The Batobus, is a glass-enclosed river boat shuttle service on a circular route along the Seine, stopping at eight points along the way, five on the Left bank and three on the Right. There’s no zig-zagging across the river, and the boats travel in an counter-clockwise direction. The Batobus is not a tour bus, so make sure that you have your own books and information if that is something you need. But for a mere 18 Euros a person, for 48 hours you can hop on and hop off to your hearts content … and you are sailing peacefully on the Seine river. This is an amazing perspective of the city and all of the superb bridges. It is no surprise that like most cities all the important buildings are often right on the water. Cities are simply built this way, even to this day. What makes this wonderful is that you never feel rushed; you never get bombarded by the crazy traffic and vehicular nightmare that are the streets of Paris . Most of the sightseeing attractions in central Paris can be walked to from these stops and it makes a pleasant change from “going down the pit” into the Métro. Instead you cruise gently and quietly with never any delay from one stop to the next. Small dogs ride for free and we saw 3 while we used this method to get around. It was nice to see I wasn’t the only dog joining their bipeds on a vacation. Port de la Bourdonnais, Paris 7th arrondissement. At the foot of the 1,710 steps of the Eiffel Tower . Opposite the Trocadéro, cross the street and walk down the stairs at the right hand corner of Pont de Iéna. Had an amazing time here and enjoyed the green grass around the tower and one of the most scenic dog parks ever! Our stop for lunch was fun, inexpensive and picturesque. That tower is really beautiful and it is funny that the symbol for the entire nation was once hated and found grotesque by the residence of Paris . If you want to go up, be prepared to wait in line for a long time and also note, no dogs allowed. Can’t sneak the dog in because they check the bags. Quai de Solférino is next to the Musée d’Orsay, cross the street along the quays and go down the steps to the river bank. We stopped here, this museum use to be a train station and now is the home to some of the world’s most famous art. Many of them “modern”. You will find all of the Impressionists and Picasso and many many more. It was closed and we wouldn’t have gone in anyway (not dog friendly and sticking to our exteriors rule), but we stopped at a lovely café sat at the terrace and enjoyed a magnificent meal and some very good people watching. Wish I could go in! Quai de Malaquais, 6th arrondissement: Near the Institut de France, take rue Bonaparte from Saint-Germain’s Church. When you reach the quay, cross the road and go down the steps to the bank. (We did not hop off). Quai de Montebello, Paris 5th arrondissement: Heart of the Latin Quarter. To find the stop go upstream along the quay for about a hundred meters from the Pont au Double, and take the stairs down to the river. Notre Dame was cleaned recently and is now white and proud and no longer this brooding black mass. The details of the façade are far more spectacular and easier to see. This Cathedral is a monster, it is huge. At the back is a lovely garden (no dogs allowed but I went in anyway snuggled in my sling) and there live outdoor concerts can be heard for free. We had the chance to listen to a concert band that was actually very good! Also from here you have the outdoor sellers of art, books and poetry that have put up shop in these wooden crates along the Seine . For the best view of the Cathedral, cross the river and look at it from these book sellers vantage point. I loved walking about this place. Was amazing. Quai Saint-Bernard, Paris 5th arrondissement. Close to Pont d’Austerlitz, take rue des Fossés-Saint-Bernard towards the Seine , cross Quai Saint-Bernard in front of the Institut du Monde Arabe and go down to the river by the ramp or the stairs. Then walk upstream (towards Pont d’Austerlitz) through the open-air sculpture garden (Jardin Tino Rossi). The Batobus puts in between Pont Sully and Pont d’Austerlitz. It is a garden and had we more time (and if it had not gotten cold) we would have stopped here but we ran out of daylight hours (October) and as such this will be a stop for our next trip. Quai de l’Hôtel de Ville, Paris 4th arrondissement. In Place de l’Hôtel de Ville take the pedestrian underpass to Quai de l’Hôtel de Ville, walk upstream along the quay for 100 metres. The stop is on the right in the square. This was the stop closest to our hotel, a mere 3 minute walk in fact. The city hall is an impressive building and on one morning they had a HUGE screen set up in the square in front and the Rugby game was being diffused live and all the local people had gathered to watch! I do not know if France won but the atmosphere was a great one! Quai du Louvre, Paris 1st arrondissement. Between Pont Royal and Pont du Carrousel, go from the Pyramid forming the entry to the Louvre towards the quays and then turn right without crossing Pont du Carrousel. Walk for 100 metres along the quay and go down the steps to the river. The Louvre is so impressive, even if just from the outside. The old stunning building with the juxtaposition of the modern glass pyramid is something to see. Line ups to get in can last up to 4 hours. So if pressed for time, just enjoy the wonderful walk, from here you can get to the Tullierie (also a Batobus stop) the magnificent garden is technically not dog friendly. But we did see some and we got away with it. Only once was I asked to be put in my sling by a guard. We stopped for lunch here on our second day, and sat in the park and soaked up the sun. It was cold but we had a really good time. From here we also walked over the Ponts des Arts where the bipeds wrote their names on a lock, locked it onto the bridge amidst the thousands of other locks and tossed the keys into the Seine . They are such romantics those two! Port des Champs Elysées, Paris 8th arrondissement. From place Clémenceau, take avenue Winston. This stop was special. We got to see the Orangerie (Dad is dying to go in now!) and walked up and down the massive boulevard, with all the luxury stores. We crossed over to the Arche de Triomphe and then went on to the Louis Vuitton store. The home base or as Mom calls it “the mother ship”. We got in, and had a wonderful time seeing not just what was for sale now, but also all the stunning vintage pieces. Mom is a huge fan and I have to say, I am not sure if it was her being “good” or a lapse in judgment but she left without buying anything. AND great weather how lucky are we!? Every night we ate well at a lovely little place called Les Philosophes. The food was extraordinary. First night we ate inside and the second we sat outside under the heat lamps; after we would have fun discovering our area with the Jewish Quarter right around the corner and the gay community having taken over les Marais it made for some really interesting finds. The area is packed with great places to shop – Dad was so impressed by all the fine clothing for men he regretted not having more money and more room in his suitcase. Mom bought a few little things for herself, but mostly we ate and walked and asked ourselves: “Why do we not build for beauty and longevity anymore”? In Review: Visiting Paris, France with a dog! Paris is very dog friendly, but surprisingly not nearly as much as Italy ( Tuscany ). This was a huge disappointment. Many of the corner stores no longer allow dogs in, and neither do any of the bakeries (some will pretend not to see your dog if it is tiny). Small boutiques allow dogs but larger stores sometimes do not. Many brasseries and café’s also no longer allow dogs inside and only on the terrace (no help if visiting in the cold months) or will allow a dog in only for tourists (really – I swear!). Mom found this a shocking change that has occurred slowly over the last 10 years. It is a great loss in her eyes. So be prepared to not be able to enter everywhere with your dog, or at least to have to go with your option B. Paris is beautiful and will always be a go to destination. It has many places for you and your dog to have fun, and public transport is still small dog friendly. If you are a North American you will have more dog friendly places than back home to choose from so it is still a “step up”. So go ahead, just go … and yes bring your dog with you, neither of you will regret it! Watch this if you do not believe me! ← The Top 5 Dog Parks of Florence! Superb!!!!!!! You must be a professional writer!!! AND photographer! Yes indeed, superb !!! I fully agree with Marlene ! You have a very creative mind !!! I like it !! Thanks Christine … hope it made you want to go! Fabulous!!!! “Almost” like being there!! To transport a reader is the end goal so … thank you! 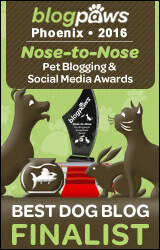 Thank you for posting your links on our Have Pet Will Travel wall in 2011! Your blog is a wealth of information, intelligently written with humor and lots of love. The video productions are so much fun to watch, professionally done and very well edited! Your lovely photos beautifully capture the moments and sites I feel as if we are there. Please keep up the great work! We look forward to seeing more and meeting you in person sometime in 2012! Thank you so much! we are very moved by this comment. We will try to keep it up and even bring new and fun activities to both the blog and our FB page. Perhaps even manage to twitter a little more. We aim for quality and that takes time. Wish we could travel more and post more frequently but to keep quality, we have to keep it to a single post a week for now … since we have other full time careers. We would LOVE to meet-up in 2012 … let us make that happen! Thanks so much for stopping my blog, because now I found yours! Paris looks grand. I would love to visit there. Anywhere in europe really. Mom is from England, and always saying we need to go there. Keep in touch new bloggie friend!! Well as of the end of the month the UK will no longer have the archaic quarantine laws so … you should go!!!
. I can tell this site caters towards the urban community. My firm improves the twitter accounts of underground hip hop artists.If your website is interested in promoting clients, let us know. Thanks! Pingback: Travel More With With your Dog and Quit the Excuses!